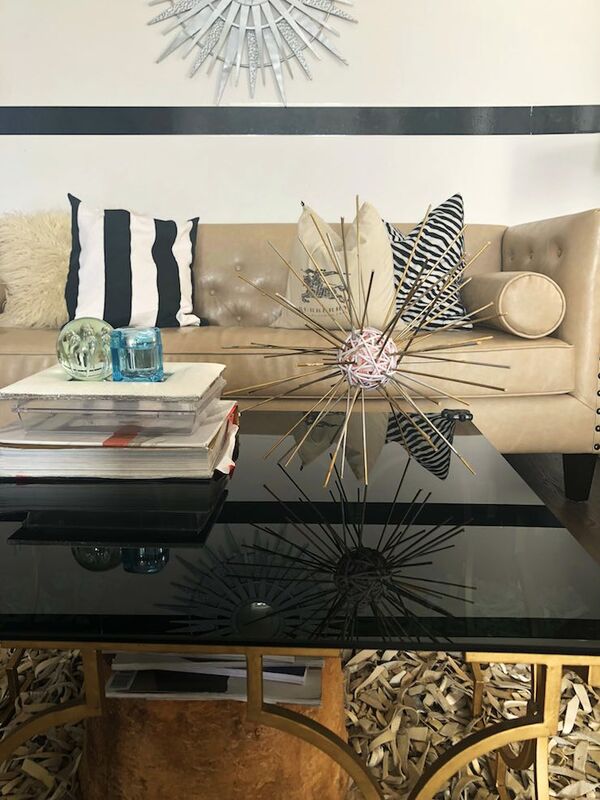 Creatures of the sea, sure…but they found their way into our homes to create some of the best and most modern display of decor. Sea urchins are fascinating, especially when they are in gold. 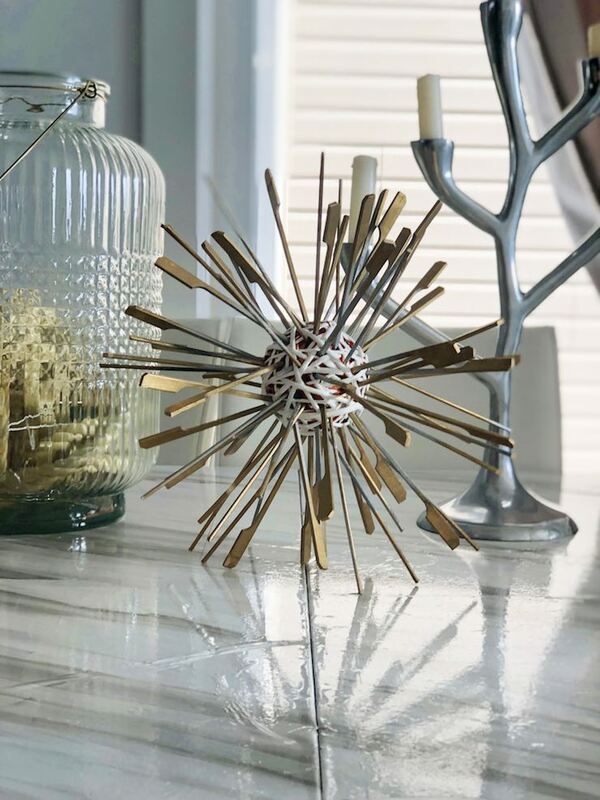 While sea urchins are affordable pieces of decor, making them is even cheaper and loads of fun. Plus, you can decide on the size and colour you want them to be. You can add them to your living room, bathroom, kitchen, or bedroom decor. Here’s what you’ll need to successfully complete this project. 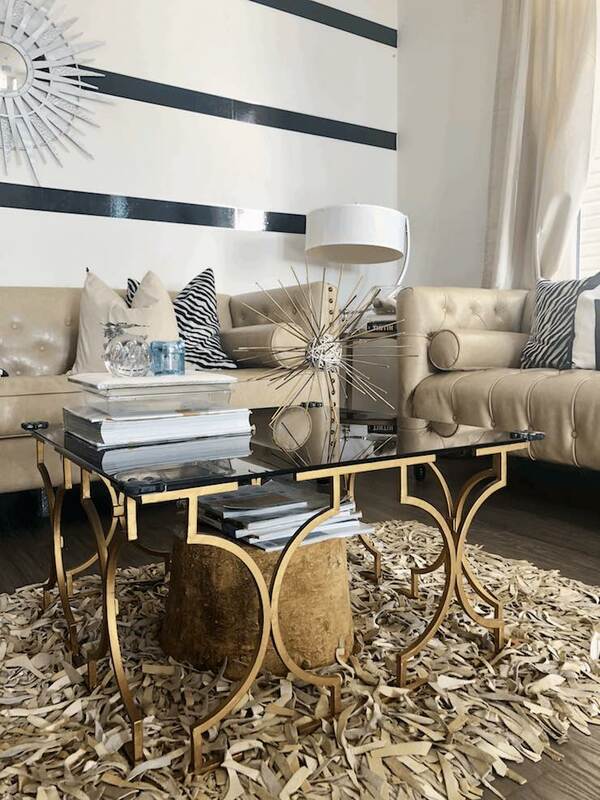 Note that your base can be made of different materials such as clay, styrofoam, or wicker. I’ve tried all 3 and frankly the wicker was what held the most. The clay after a while dried out and started cracking and breaking, making a mess everywhere. The styrofoam in the long run, the hole size increased and the sticks fell out. If they are too long for your liking, you can cut them to shorten them. Lay all the sticks on the floor with a cover underneath such as a garbage bag to avoid staining your floors. 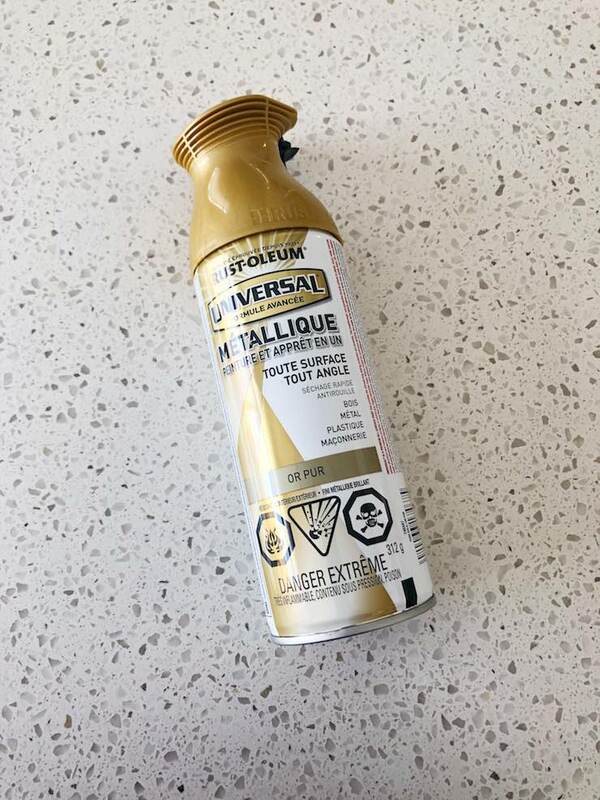 Read the label on the spray can to see how far you should be from your target. Spray the first coat. Wait for it to dry then spray the second coat and allow to dry. Spray paint your wicker ball and allow to dry. Repeat for the second coat. 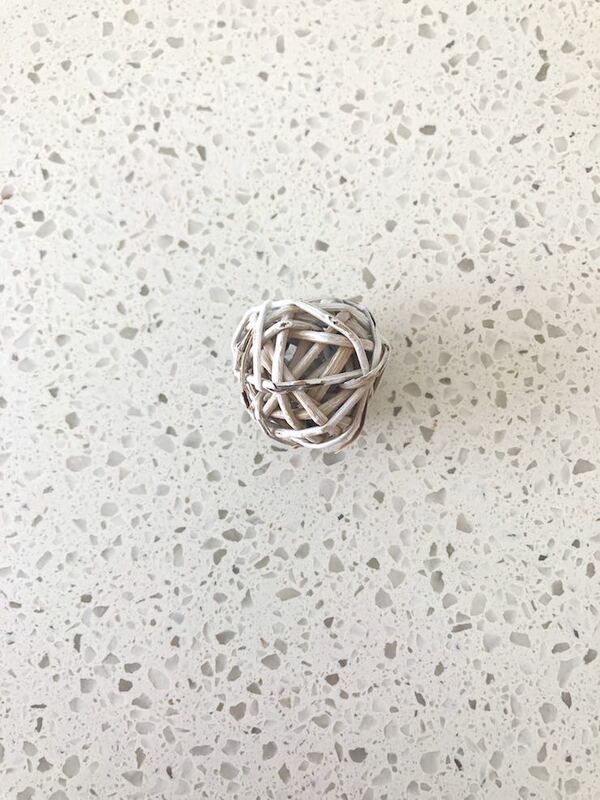 Once everything dried out, take 1 of the sticks and pierce it through the wicker ball to stabilize it. Repeat until you’ve added all the sticks. Voilà! You’re all done and ready to display. Make as many as you like in different sizes. 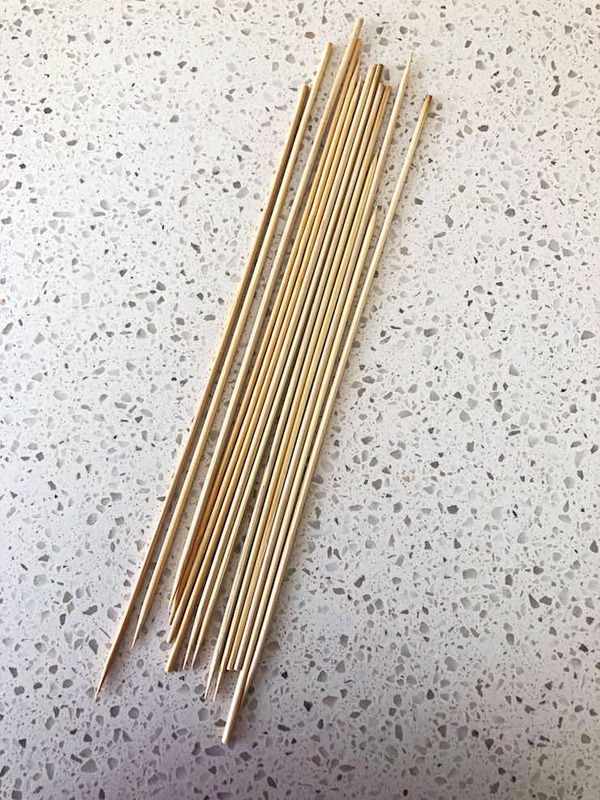 To obtain a smaller urchin, you can opt for shorter sticks or you can cut them. This is another variation of it. 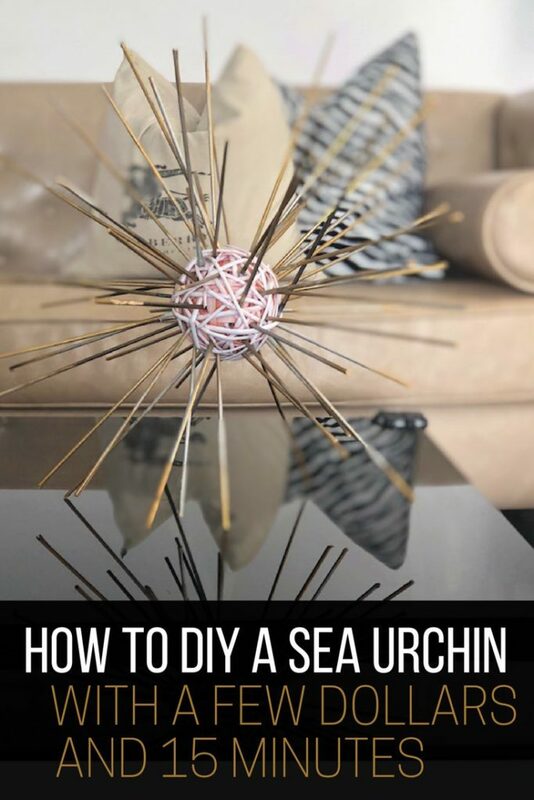 Now that you’ve read how easy it is to make a sea urchin, do you think you will try it? I’d love to hear your thoughts and see your projects. Rania, this is such a cool decoration and how easy to make! If I ever I did a ocean theme in a room, I would totally have these around. Very aesthetically pleasing! Thanks Shelbee, it was so easy to make it was ridiculous not to make multiples of it. It enlightens a room, really! !